Porsche’s tech-laden daily driver still serves up what we want from Porsche – Driving excellence. 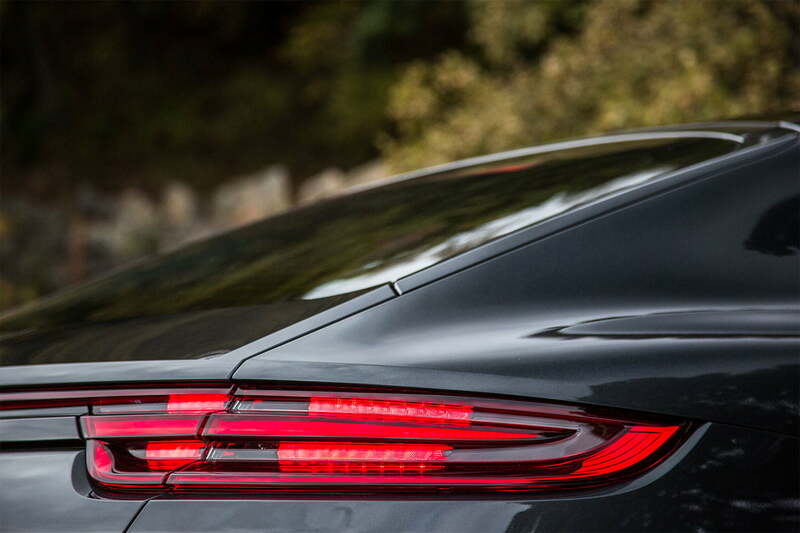 For the second-generation Panamera, Porsche sought to reinvent (again) the luxury sport sedan. So determined were they that only three things carried over from the previous model: the segment idea, the name, and the company crest. 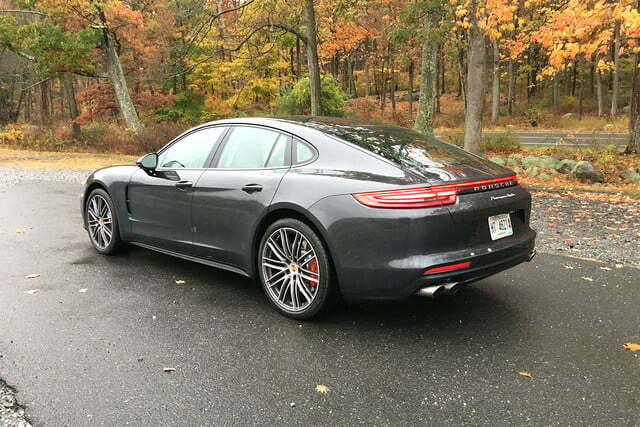 And my, do the changes show as the 2017 Porsche Panamera is lower, longer and leaner — sort of. 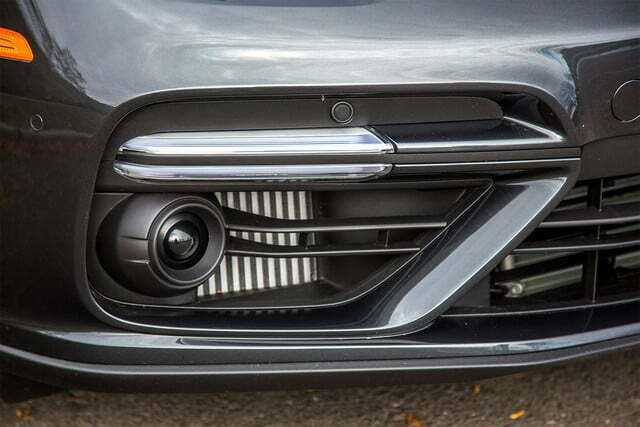 While dimensionally smaller yet stronger thanks to the vehicle’s lightweight mixed-material body consisting of mostly aluminum and some steel, the weight savings is minimal as the added technological wizardry makes up for the rest of the heft. However, we learned the added pounds was not unnecessary fat but digitized flex as we pushed every button and pedal during a recent New York sneak peek of early production models. Improvements to the electrical/electronic architecture played a significant role in the redesign – and not just so you can have more apps, screens, and connectivity (but they get that as well). By the numbers, the development of the new E/E system is mind-blowing. 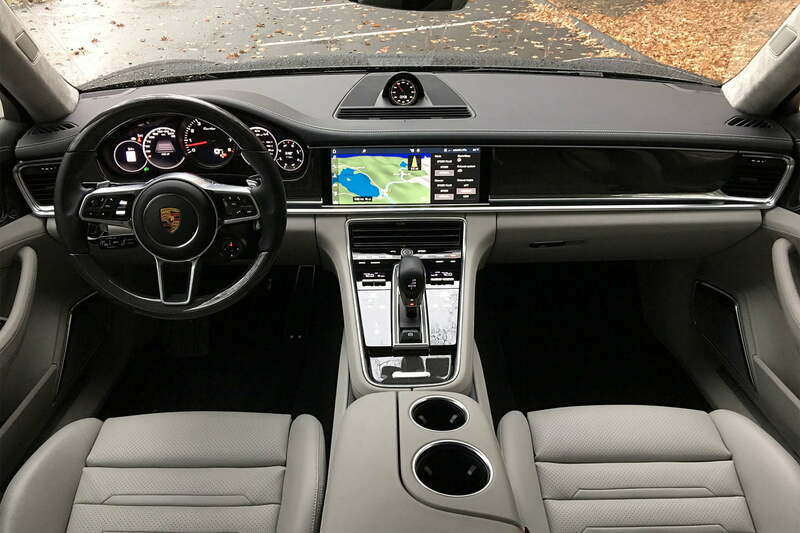 In a single vehicle generation, the Panamera went from containing 70 control units to 112 and surges from 2 million lines of code to a what-the-what 100 million. In comparison, a Boeing airplane contains 5 to 15 million lines of code. So, the 2017 Panamera is basically a space ship. From the cockpit of this not-yet-approved-for-takeoff craft, the technology lights up your world. Behind the wheel, the centralized tachometer, which will be one of the few analog displays within the vehicle, is flanked by two 7-inch screens. The left-side display, known as “Speed & Assist,” features a virtual speedometer and related information such as cruise control. 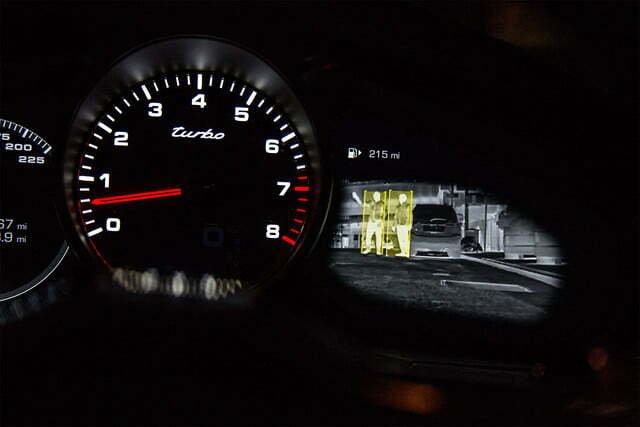 On the right is “Car & Info,” which relays other typical information such as fuel, trip, and night vision. We learned the added pounds was not unnecessary fat but digitized flex as we pushed every button and pedal. But wait, there’s more? Indeed. 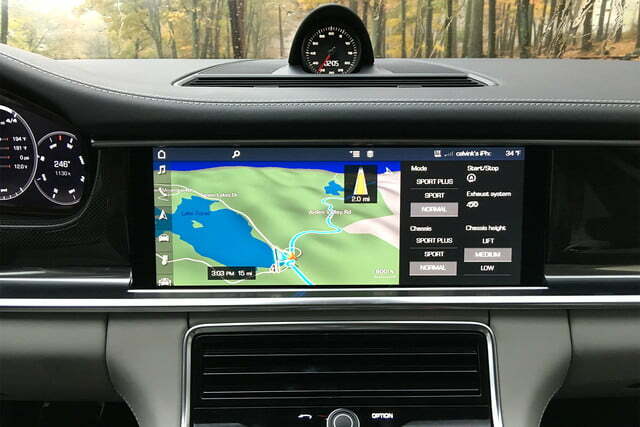 The center console, now sleeker and cleaner thanks to a new waterfall design featuring fewer buttons, is dominated by a new 12.3-inch high-resolution touchscreen. 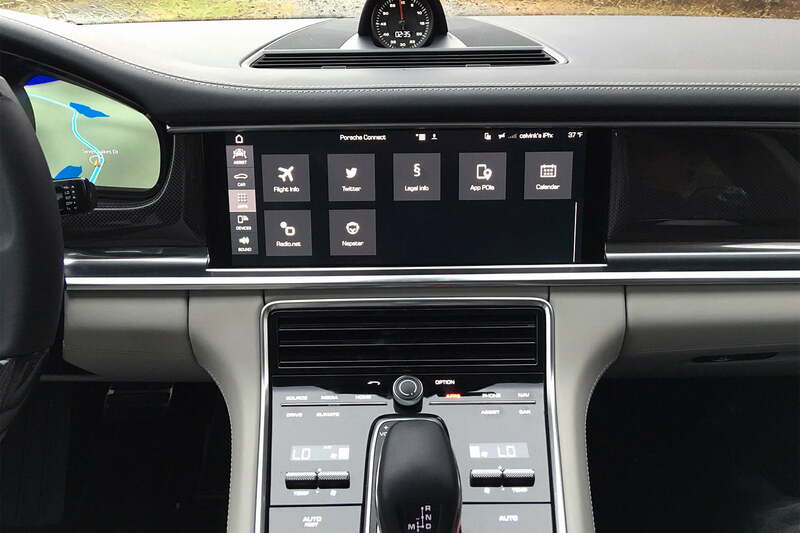 Customizable to some extent, this next-generation infotainment and connectivity system, known as Porsche Communication Management (PCM), is where several millions of those lines of code come into play. Essentially three screens in one, the home menu is an always-on, ticker tape-style scrollable left-hand panel while the other information tiles can be shown as a single or two-screen display based on preference and which PCM functions are in use.Standard features integrated with available apps affords occupants a bevy of information in the form of navigation, real-time traffic, Google Earth, Apple CarPlay, parking search, fuel prices, flight information, calendar notifications, current news, Twitter feeds, and … Napster. With all that connectivity, I was disappointed to learn there was no fantasy sports capability. 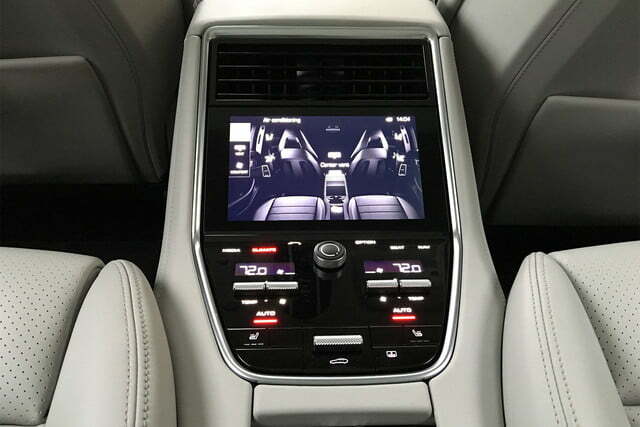 Either way, this extremely high-tech and information-heavy PCM system is not intuitive – and it shouldn’t be. 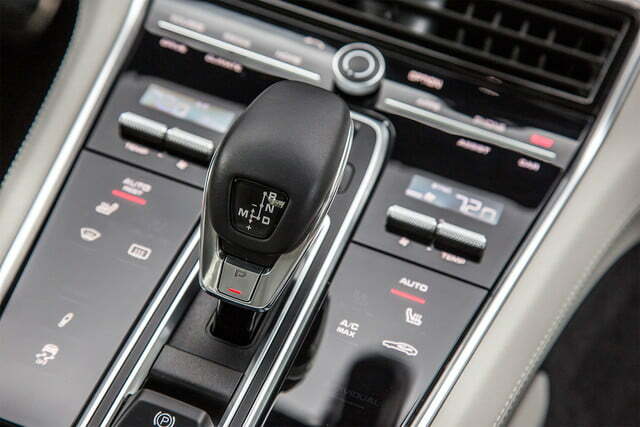 Drivers should learn how to sync, click, tap, and swipe before even turning the engine on. Although intimidating at first, the entire setup is easy to learn in one sitting, and best learned while just sitting. 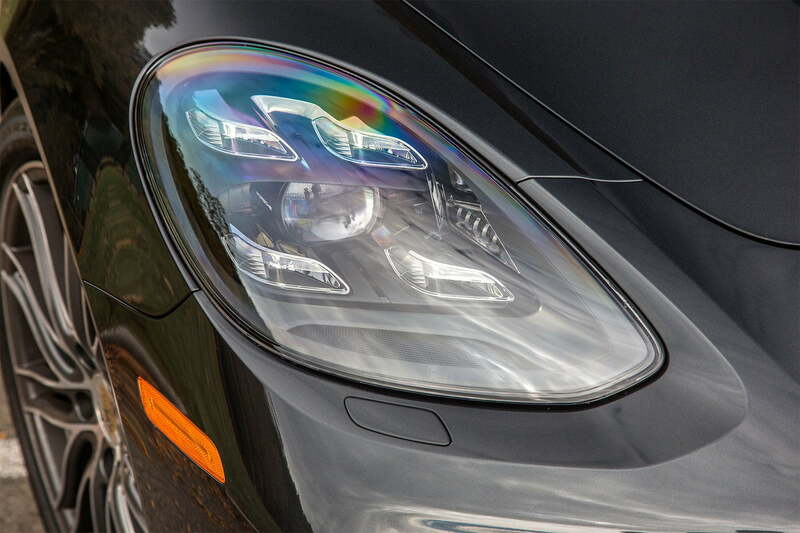 As dazzling as the Panamera’s connected magnificence is, it’s the Porsche-only performance that truly delights. On sale in January, the 2017 model will debut with two variants: 4S and Turbo. The 4 E-Hybrid, which will make its official debut at the upcoming Los Angeles auto show, will be available late next summer. 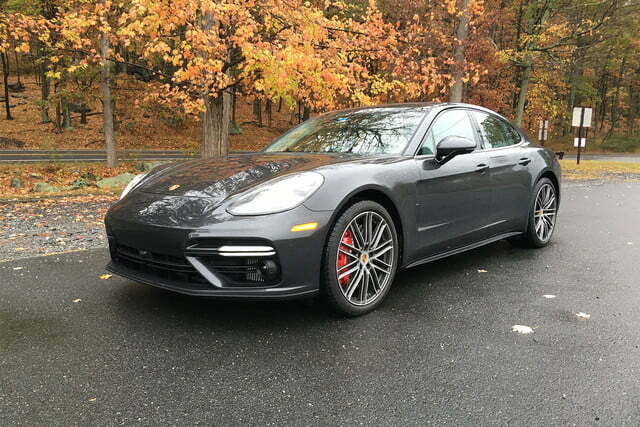 All models will feature new twin-turbo engines, permanent all-wheel-drive, and an all-new, Porsche-first eight-speed dual-clutch transmission.Under the gleaming new hood, a 2.9-liter V6 with an estimated output of 440 horsepower and 405 pound-feet of torque will outfit the 4S model while a 4.0-liter V8 with an estimated 550 hp and 567 lb-ft of torque will propel the Turbo. The 4 E-Hybrid is estimated to produce 462 net hp and 516 lb-ft of torque with its 2.9-liter V6 engine and electric motor. 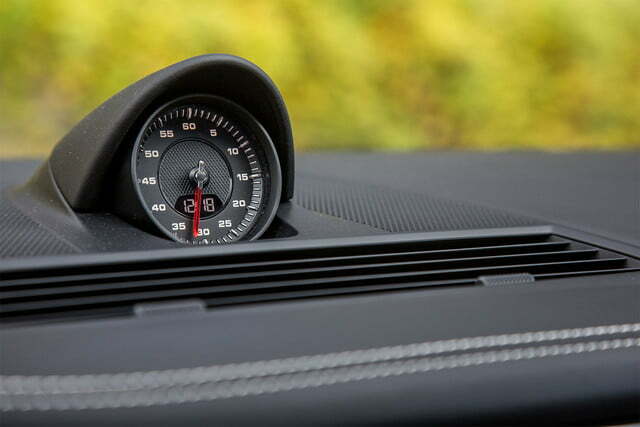 When equipped with the Sport Chrono Package, both the 4S and Turbo improve by 0.3 seconds to achieve 4.0- and 3.4-second 0 to 60 acceleration times, respectively. The 4 E-Hybrid is no socket slouch either with a swift 4.4 seconds. 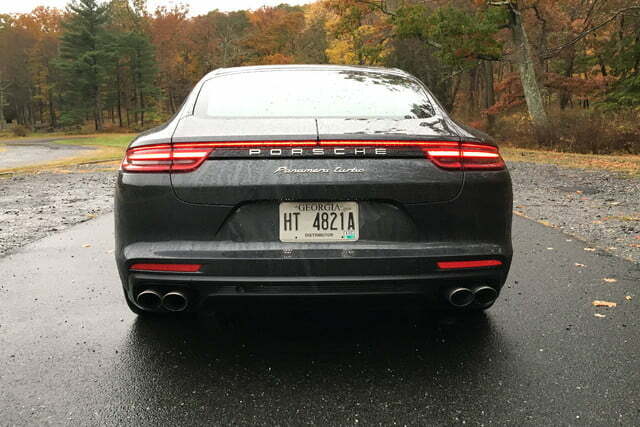 For our preview drive, we were handed the keys to a Turbo and quickly taught that “four-door sedan” does not equate frumpiness. 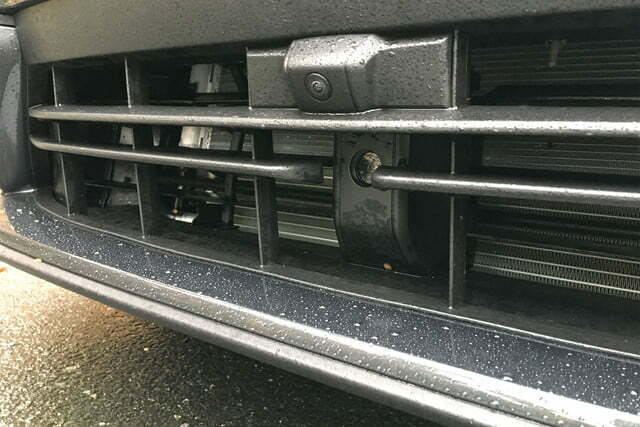 Unfortunately, the day of our test drive was cloaked by an unshakable gloom of rain, fog, and hail. Fortunately, the Porsche Panamera couldn’t care less and showed off its perfect prowess even to the most timid of first-time drivers (i.e., me). 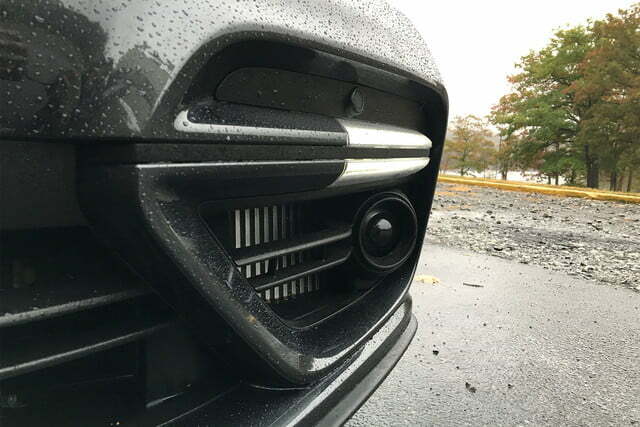 Our test car was outfitted with standard 21-inch all-season tires, which didn’t flinch when my foot met the floorboard during a heavily rain-soaked Palisades Interstate Parkway jaunt. This is also where the night vision showcased its non-distraction side by displaying mist-shrouded vehicles up ahead (hi, Toyotas). 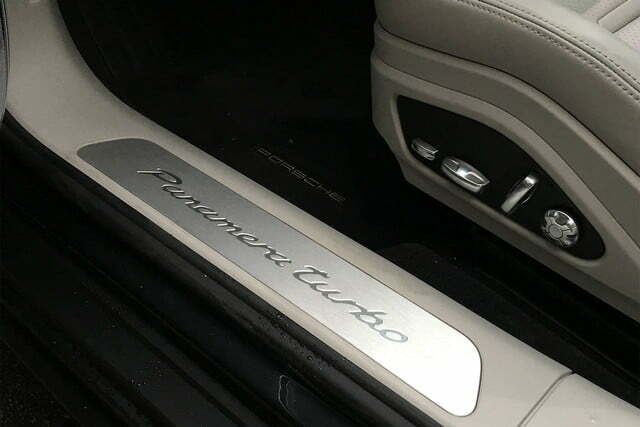 The Panamera also handles U-turns as efficiently as a compact and possesses a steering feel seemingly hard-wired to my brain. Driver assistance features are becoming paramount, however, and Porsche is not one to fail any checklist as the Panamera offers the gamut of electronic nannies, including adaptive cruise control (smooth), blind spot monitoring (not annoying), and lane keep assist (can be annoying). But all these have an “off” switch. 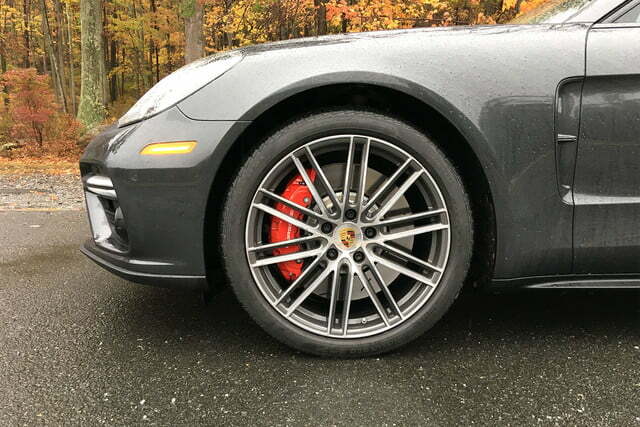 What doesn’t is Porsche’s active suspension management system, which offers four drive modes: Normal, Sport, Sport Plus and Individual. Play mix-and-match with this damper control system to adjust chassis stiffness, ride height, and rpm – you’ll never be bored. Just be wary that when in Sport Plus, the higher revs mean a louder (and lovelier) exhaust note, but the interior is so darned quiet, your neighbors will hear its full rhapsody before you do. 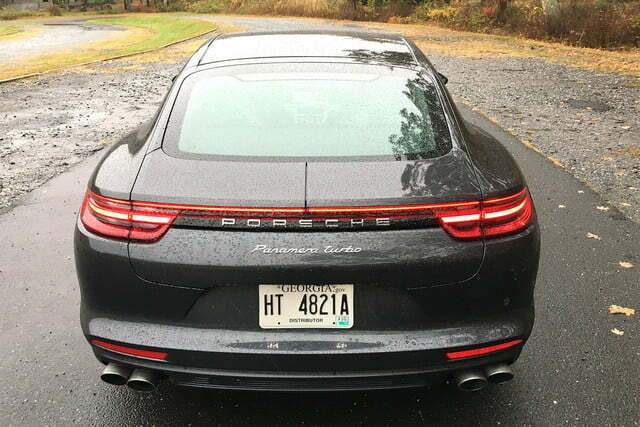 While the weather (and public roads) prevented any hard testing of the new V8, dynamics are still on point as Porsches are wont to do. The Panamera is reminiscent of a four-door 911 as it handles like there are no rear seats. Those two extra cushions are definitely there but unless a backseat driver is begging for attention, front-seat occupants won’t notice. 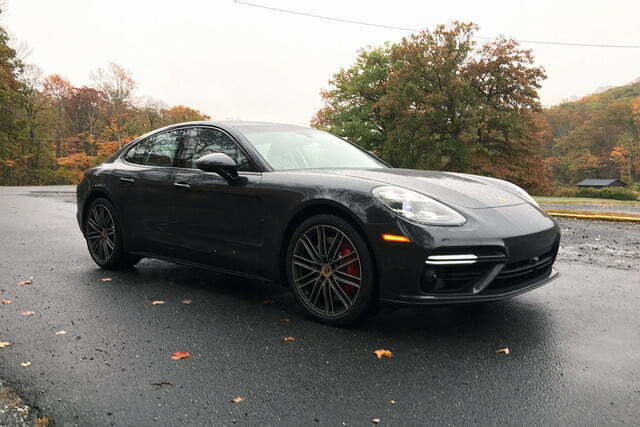 Porsche is not shy regarding its objective with the Panamera, which is to create a four-door, performance-oriented daily driver. Some would say the brand has already achieved this with its popular Macan and Cayenne SUVs, but an SUV is still an SUV. 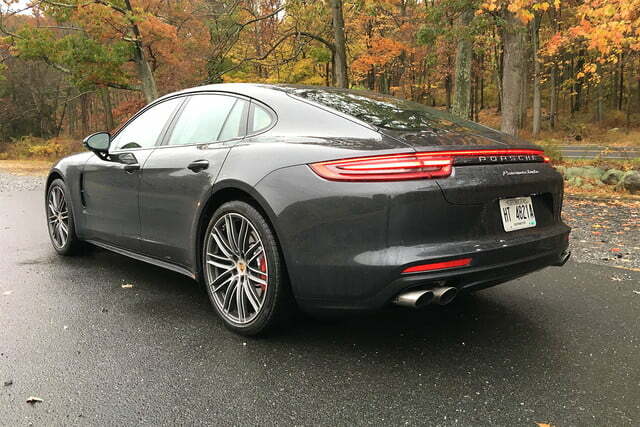 There is no 2-inches-from-the-ground seating position option available, as is modus operandi with Porsche’s sports cars. 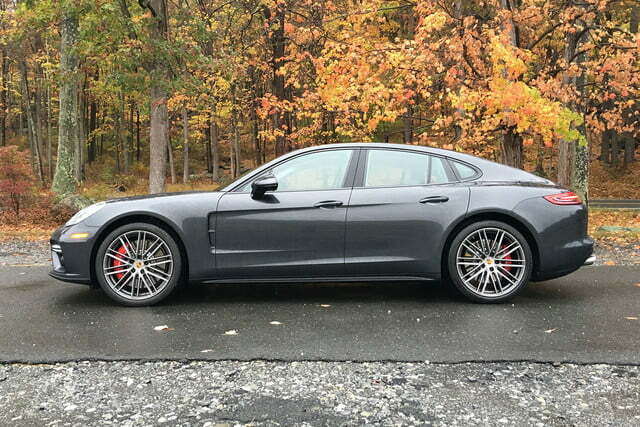 So, for the anti-SUV set, the Panamera exceeds expectations to fit the bill – both as convincing cul-de-sac chariot and enthusiastic track whip (weather permitting). 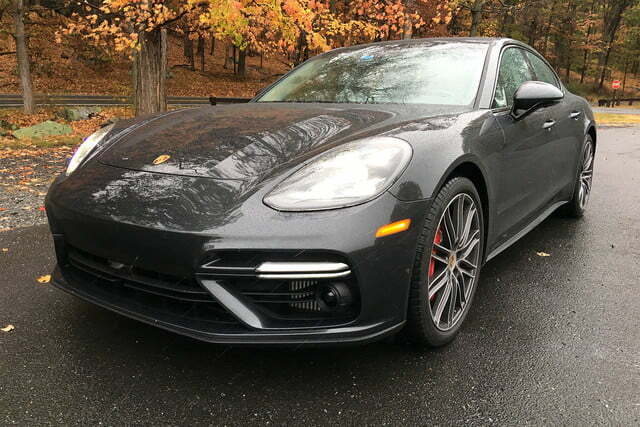 The all-new 2017 Porsche Panamera is expected to start at $99,900 for the 4S, $146,900 for the Turbo, and $99,600 for the 4 E-Hybrid. Destination charges will be an additional $1,050.